Browse Orange | Musical Instruments | GAK. Orange were born out of the heart of London in the sixties and remain fiercely independent. 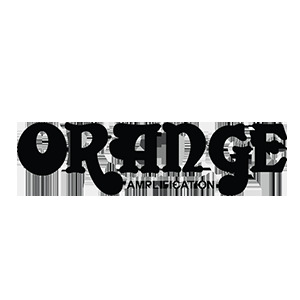 Uniquely designed and often imitated, Orange amps are true originals, thoroughly encompassing the spirit of British Rock and Roll.Here at GAK, we have a vast selection of Orange products including Bass amplifiers, Guitar amplifiers, effects pedals, accessories and more. If you have any inquiries regarding Orange products please don't hesitate to contact one of our specialists by calling 01273 665 400. That classic 'fat' and 'smooth' Orange tone. Two-button switch for Orange amps. Two channel, 15W Valve Head designed in collaboration with Mastodon vocalist Brent Hinds. Two channel, 15W Valve Head and a Celestion Neo Creamback speakers cab. A Class A Valve Rectified Modern Classic! A Class A, Valve Rectified, Modern Classic! A new, high-powered, solid-state, dawn for Orange! One of the most silent switchers on the market! Hard wearing fabric cadet hat with embroidered "Orange" motif in olive. Grey cotton T shirt with "Orange" crest. White Cotton T shirt with "Orange" Crest. Supreme clarity and unrivalled performance for uncompromising performers.